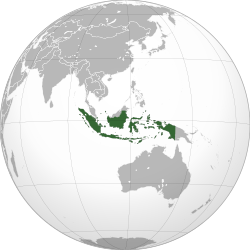 ↑ 1.0 1.1 1.2 1.3 "Indonesia". CIA. 喺2011-04-10搵到. ↑ 2.0 2.1 "Indonesia". World Economic Outlook Database. International Monetary Fund (IMF). October 2016. 喺2017-03-19搵到. ↑ （英文） "Human Development Report 2011". 喺2012-10-01搵到.